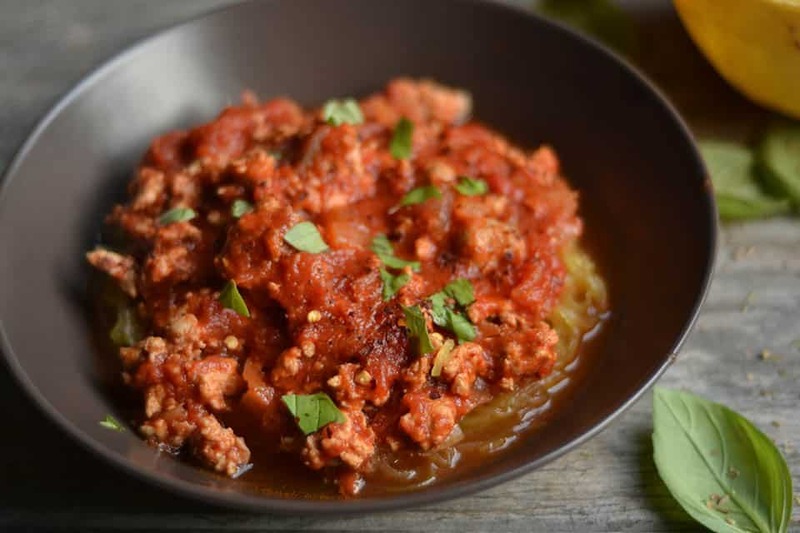 The best flavorful spaghetti sauce made with San Marzano Tomatoes, fresh herbs & spices, ground turkey, and sausage. 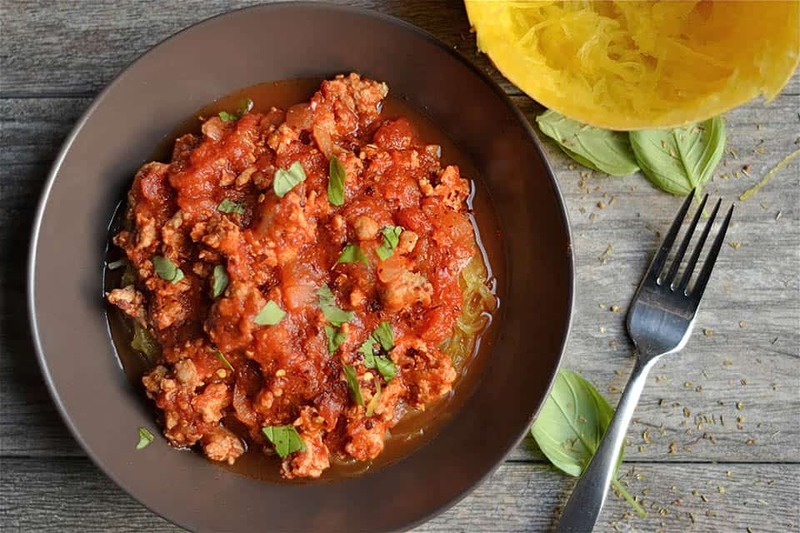 The recipe that will make you ditch the jarred tomato sauce for good! I resisted the urge to want to call this, “THE BEST Spaghetti Sauce EVER”. Mainly because I’m sure a gazillion people think they have the best sauce ever. But also, I wanted to hint as to what actually made this “THE BEST” in my humble opinion. It’s the sausage, and the turkey. The combo is what works in this sauce. And you know what? It’s also delicious with ground beef too, I make it several ways. So this is a recipe I’ve been making for years. Nothing fancy. Just great meat, the BEST canned whole tomatoes, some fresh herbs and spices, and a few other little tricks. It always, always, always pleases everyone who eats it. It’s a staple in my household, and I’m sure spaghetti is a staple in your household as well. I dare you to kick it up a notch and try it this way! Although this is a recipe that tastes better with time, it does not require hours and hours spent at the stove. It’s quite simple to throw together. But, there are a few tricks I want to share with you. First, the tomatoes. San Marzano Tomatoes are the best of the best out there, it really makes a difference in the quality of your spaghetti. Another trick is to buy Whole Tomatoes, and not diced. 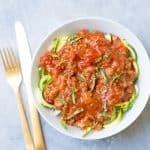 I learned at an Italian cooking class that the worst tomatoes are used as diced tomatoes, and they save the best ones in the cans of whole tomatoes. Makes perfect sense to me! 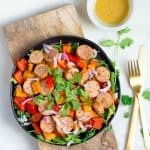 Another must in this recipe, is the addition of sausage. It really makes traditional bolognese spaghetti sauce so much more flavorful! 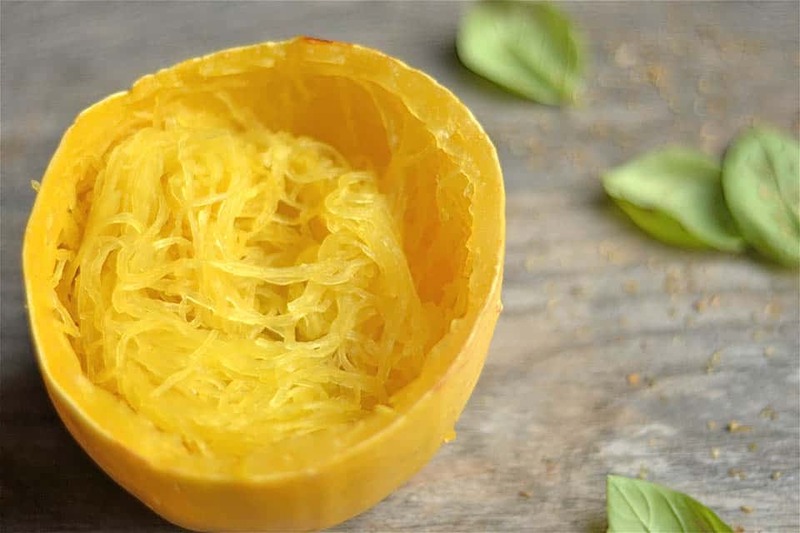 Finally, I do want to share with you my new found technique of spaghetti squash. 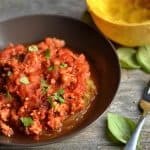 My friend Jessica over at Jay’s Baking Me Crazy has a great tutorial on how to properly cook spaghetti squash. Apparently, I’ve been doing it wrong all these years! This was life changing really. 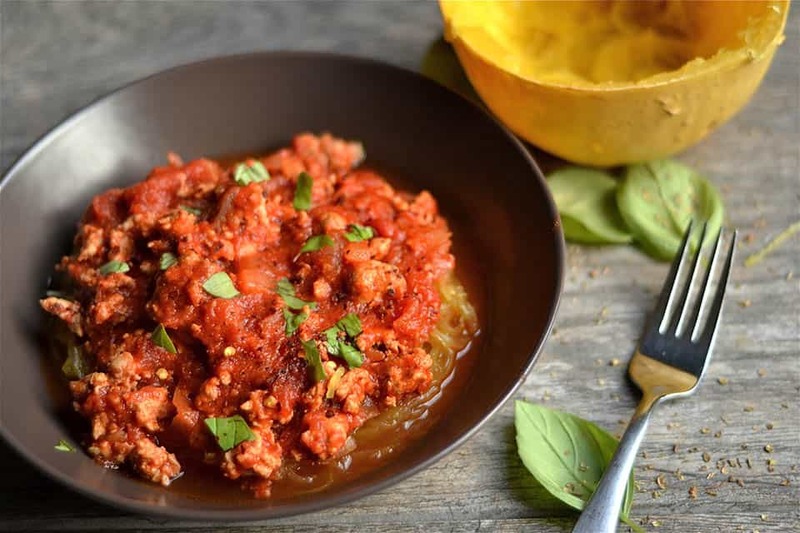 I do love the flavor and lightness of spaghetti squash with my sauce in place of pasta. 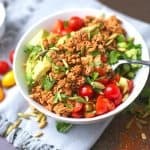 Makes this a fabulous Paleo and Gluten-Free dish too. Anyway you serve it, I’m sure this one will be a hit! And good thing the recipe makes enough to feed a football team. I usually have leftovers for a few days, and can throw this in the freezer to save for another time. Heat a large pot to medium high heat, add olive oil to grease the pot. Add onion and garlic, cook for 3-5 minutes or until fragrant. Add both ground turkey and sausage. Cook sausage and turkey until no longer pink (8-10 mins). Add tomatoes, red wine vinegar, tomato paste, oregano, and salt. Stir to combine, and bring to a boil. Immediately turn heat to low and let simmer. Simmer for at least 1 hour, up to 2 hours. Before serving add red pepper and basil. Serve with spaghetti squash, or pasta noodles. 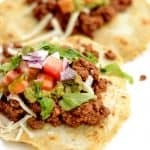 You can use ground beef in place of turkey. This recipe tastes better the second day, and will last up until 1 week in the fridge. It also freezes well. What is the calorie count for 1 cup of spaghetti sauce?